National Eat What You Want Day!! Healthy eating is (quite rightly) becoming a more popular trend, but the guilt culture surrounding 'unhealthy' food is a massive dampener. We need to develop a genuinely healthy relationship with food, finding a diet that works for us on a daily basis without us feeling hungry or restricted in any way. Food should be connected with pleasure, not a trial to ensure physical wellness. Ok, so that aside...we all know (if you need one), it's a good excuse! So we've been thinking about the best way to take part in the celebrations, and have come up with a few of ideas for you! Why we love National Eat What You Want Day! 1. It gives you the freedom to choose what you want to eat without worrying about calorie counting...so go ahead, say yes & don't feel guilty about it! 2. Try something new! Is there some delicious dish that you've been wanting to try for ages, or a new style of restaurant for example? A new trendy diet? Well today's your day! 3. Eat when you want! Use today as an excuse to eat when you feel like it! If you fancy pizza at 7am go for it! You could snack all day, or skip lunch and feast all evening on takeaway and chocolate - or both - sounds perfect to us! Be spontaneous! 4. Get the little ones involved! Let your children choose what's for dinner tonight. Get them engaged in their food, by allowing them to help prepare it too. Ok, so I know this isn't THAT easy, as it takes way longer with their 'help', but they will love to be involved, it will make their day! 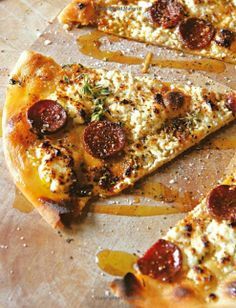 A favourite in our household is Homemade Pizza, which is super easy and speedy to make and great fun when you involve the children, the messier the better! This is the Pizza Recipe that we use, but you can grab some readymade pizza bases and passata which does just as good a job! Enjoy your day, and let us know if you decide to celebrate!